UFO SIGHTINGS DAILY: Giant Alien Figure Found Hidden In NASA Photo Of Eagle Nebula, Nov 2018, UFO Sighting News. At the NASA site, they have a close up photo of part of the Eagle Nebula. 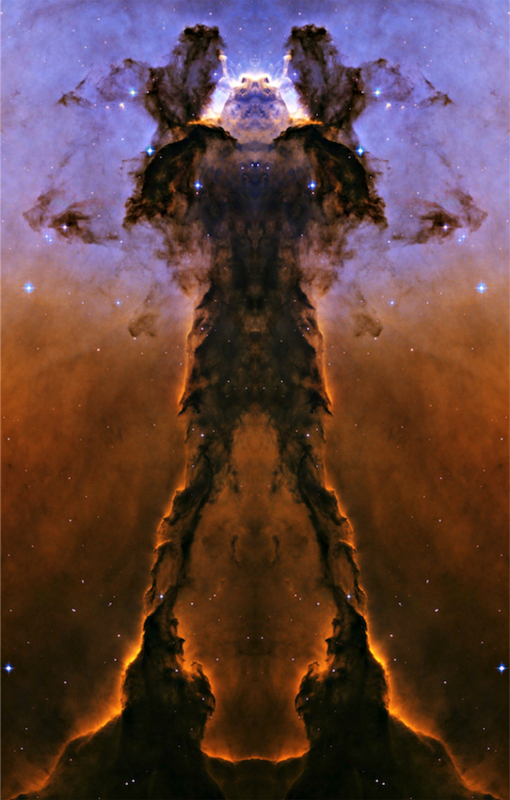 Its an area that they thought looked like a fairy, so they named it The Fairy of Eagle Nebula. 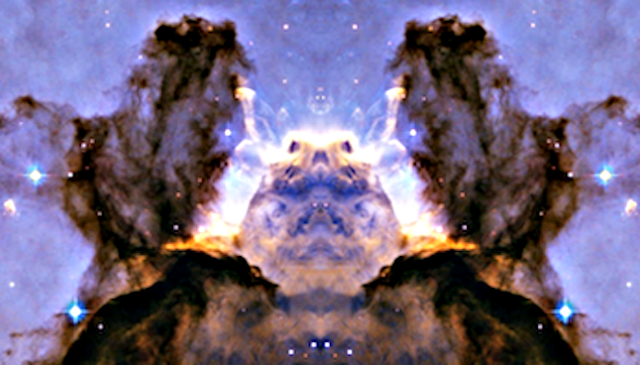 Yeah, you heard me right, NASA is seeing things in the nebulas...and no one laughs at them...yet, because I don't work for the US gov, many ridicule me. Who's laughing now? 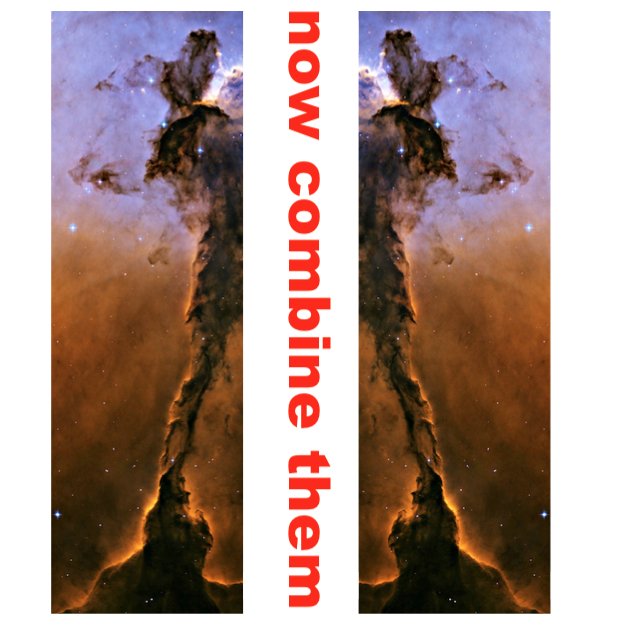 I found that this part of the nebula is a figure, however its been viewed wrong. The photo has to be cut in half from top to bottom then flipped and added to itself...making one whole figure. This gives us the full figure of the alien it was made after. Remember its alien art, its meant to be viewed using a higher IQ than humans are suppose to have...humanity is not suppose to be able to see these or understand them. Its wearing a samurai type of armor. Humans made Mount Rushmore made from a entire mountain of stone...so you see, everyone likes to leave their mark for future generations, its just these aliens did it on a whole new level. In the close up below, you see there are actually three heads, two of which are separate and looking down on the middle figure as if watching over him. Probably a spiritual reference to his ancestors of the the past insuring his safety for the future. Do you remember I was talking about different civilization levels last week? Humanity still has not reached a type 1 civilization level yet, but what we are looking at is an alien figure in a nebula made by a type 5 civilization...which can manipulate space and time, basically, godly in every way.